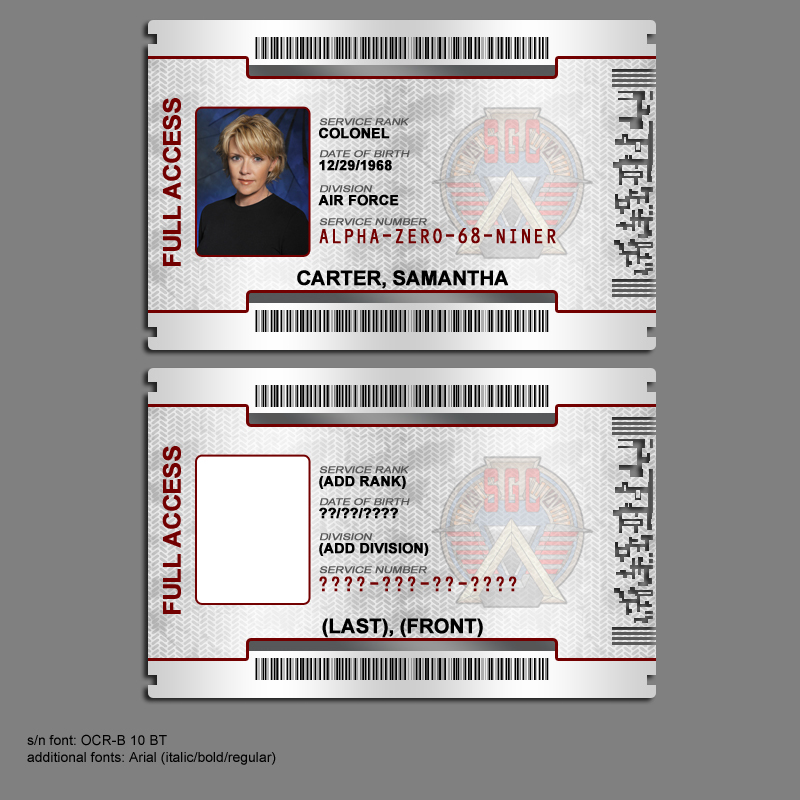 Stargate command ID badge. . HD Wallpaper and background images in the Samantha Carter club tagged: stargate sg-1 samantha sam carter. This Samantha Carter photo might contain koran, kertas, majalah, tabloid, kain, and rag.